A healthy, beautiful smile is important for your overall health and life satisfaction. If your teeth are too close to each other, too far apart, too crooked, or if they fit together uncomfortably when your mouth is closed, it’s likely you have malocclusion. The specific position of your mouth when it’s closed is called your bite. Your bite can be either healthy or unhealthy, and an unhealthy bite can cause all sorts of problems. Kids and adults alike can benefit from fixing an improper bite. Needing orthodontic treatment is a good example of when cosmetic dentistry is both beautiful and practical. Belleville dentist, Dr. Yakowicz shares all you need to know about getting orthodontic treatment at Neighborhood Smiles. Invisalign® is an alternative to braces. These and other clear aligners are made from clear plastic, and removable to give you the same result without the signature “train-track” look in your smile. In some cases, your dentist may recommend surgery as part of your orthodontic treatment. Or, the dentist may suggest veneers[LINK] if it will better and more easily help you achieve the smile you desire. Dentistry is the general practice of providing oral health care. Orthodontics is a specialty within dentistry that treats malocclusion and teeth straightening. 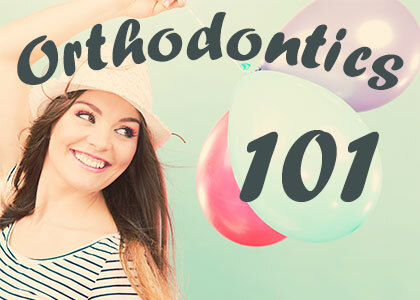 All orthodontists are dentists, but not all dentists are orthodontists. Many Belleville dentists are general dentists providing orthodontic services. If you want to see a dentist about problems with your teeth alignment, contact Neighborhood Smiles today! We’ll answer any questions you might have. We look forward to helping you straighten your smile!